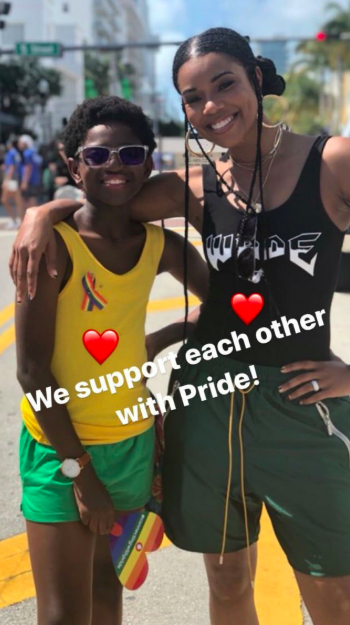 Gabrielle Union, who you 90s kids probably remember from Bring It On, and her husband Dwayne Wade, from the Miami Heat, showed some supreme stanning for their son Zion, who was marching in Miami Beach pride, which took place on Sunday April 7th. 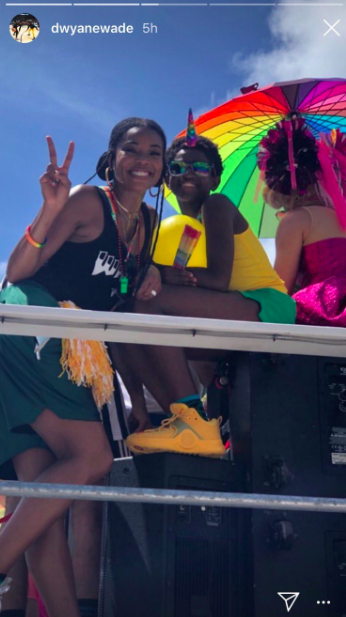 Zion, dressed in a yellow tank with a rainbow ribbon, looked fly for Pride, and he posed for a great pic with his stepmom, Union. "We support each other with Pride!" Wade captioned the pic. 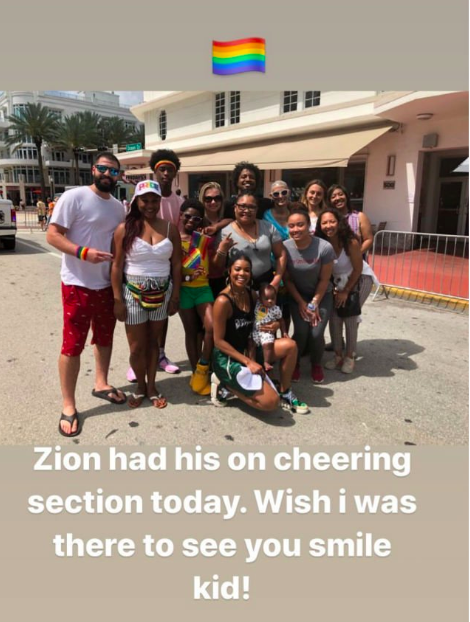 And it wasn't just stepmom and dad who showed up to support--but Zion's siblings. 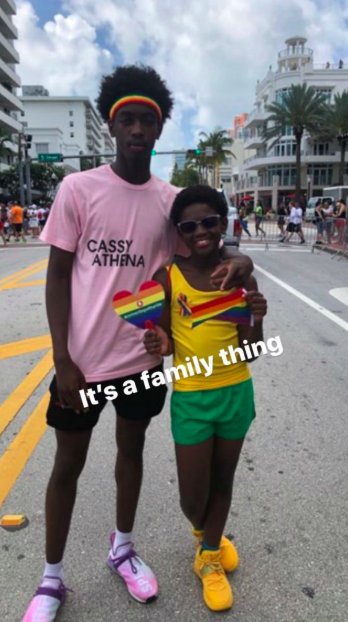 And people are getting emotional to see two parents so supportive of their young child who recently came out, noting that it is something often lacking in both the country at large but also in the black community. "Every kid deserves to be accepted and supported and loved like this," wrote one user. Union and Wade have been married since 2014. Zion was born in 2007--he will turn 12 at the end of May.